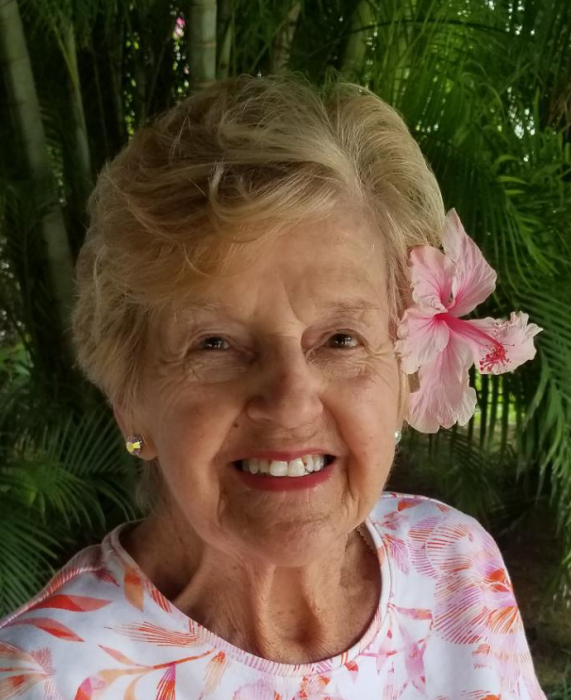 Evelyn Laura Daniels (Begin/Mastin), 85, of Coventry passed away peacefully at home on Saturday morning, March 16, 2019, surrounded by her loving family. Born on July 16, 1933 in Central Falls, Evelyn was the eldest daughter of the late Oliver Edward and Eva M. (Desmarais) Begin. She was the wife of the late Francis J. Mastin and then of the late Michael A. Daniels. Beloved mother of James Gillooly (partner Barbara Horne) of Warwick, Peter Mastin (wife Kelly) of Riverside, CA, Paula (Mastin) Faria of West Warwick, Janice (Mastin) Olivier (husband Robert Despres) of Coventry, the late Matthew Mastin, Lorena Childress (Mastin) of Coventry, and Mark Mastin (wife Leah) of Richmond, RI. She leaves behind 16 grandchildren who were blessed to call her Memere: Cheyenne (Gillooly) Reichenbach, Rory Gillooly, Amber Barath, Kyle Mastin, Karlene (Mastin) Contreras, Allison (Faria) Lockard, Zachary Faria, Jessica (Olivier) Rochefort, Danielle (Olivier) Horan, Aimee Olivier, Grace Childress, Tyler Childress, Casey Mastin, Seth Mastin, Josie Mastin, and Melissa (Despres) Marabello. Special mention to Diego Arroyave Giraldo and Joseph Forget, whom she also considered part of the family. She was “Grand-Mem” to 8 great-grandchildren, Jenna, Felicity, Margaret, Anastasia, Scarlet, Kashton, Lily and Baby Lockard. She was the older sister of the late Wilfrid Begin, Leon Begin (wife Pauline), Raymond Begin (wife Dorothy), and Dolores (Begin) Corriveau (husband Richard). She was favorite “Auntie Evie” or “Aunt Laurie” to numerous nieces and nephews across the country. She leaves many dear friends as well, including June and Maria. Evelyn touched so many lives with her love, light and zest for life. She was known for her bright smile, positive personality and heart of gold. She filled so many lives with love, encouragement, support and acceptance. She had a wonderful sense of humor and could be counted on to lift your spirits. Her greatest joy was spending time with her family. Evelyn was a strong and resilient lady who lived quite an adventurous life. She grew up in Pawtucket, RI and had wonderful memories of working in her father’s grocery store on Central Avenue, Begin’s Market. She attended Saint Cecilia’s Catholic School through 8th grade and graduated from St. Jean the Baptist High School in Pawtucket, where she was the first of many cheerleaders in the family. She worked as a telephone operator for Bell Telephone in Pawtucket and was known for her pleasant telephone voice. In the 1950s, she moved to Burbank, CA with her first husband Jim Gillooly and their son, where she worked as a long-distance telephone operator for Pacific Bell. After divorcing, she worked for Hydroware in Burbank, where she met and then married Francis J. Mastin in 1962 and began their large family. During their marriage, they lived in Simi Valley, CA, Ontario, CAN, Costa Mesa, CA, Denver, CO, Canoga Park, CA and Westminster, CA. In 1979 following Francis’ death, she moved her family from California to Coventry, RI, where she would reside for the next 40 years. She worked for 17 years in the pharmacy at Granite Drug Store in Coventry and would delight in running into her former customers around town. She found happiness again with Michael Daniels whom she married in 1986 but sadly was widowed again 6 months later. She was “Memere” to countless children and families at Mrs. O’s Daycare through the years and made new friends as an occasional greeter at her daughter’s store, The Bead Sting. She was a steady fixture at most of her grandchildren’s events or games. A parishioner at SS. John & Paul Catholic Church for 40 years, she was also an active member of the Red Hatters for a time. She had a lifelong love of the beach and also enjoyed many tropical vacations with her family. Her favorite color was red and she loved anything sparkly, hence her last dress. She was known to always be put together and matched her earrings with every outfit. At her request, she will be buried barefoot, like any good California beach girl. A funeral will be held on Thursday, March 21, 2019 at 8:45 am at Gorton-Menard Funeral Home & Crematory, 721 Washington Street, Coventry, RI, followed by a Mass of Christian Burial at SS. John & Paul Catholic Church, 341 South Main Street, Coventry, RI at 10:00 am. Calling hours will be held on Wednesday, March 20, 2019 from 5:00 to 7:00 pm. Burial will be held in Mt. Saint Mary's Cemetery in Pawtucket, RI. A reception will be held at SS. John & Paul Parish Center afterwards. In lieu of flowers, donations can be made in Evelyn’s memory to Hope Hospice & Palliative Care Rhode Island or SS. John & Paul Church, Coventry, RI.